I was certainly hoping for better numbers from the voting machines at Fairview precinct today, but the numbers show otherwise. Even though I have a right to ask for a recount under state law and also challenge the election result due to irregularities with the voting machines used at Fairview precinct, I have decided not to do so. Given the state of our economy, the taxpayers' resources should be focused on providing services to Fairfax County's residents and Braddock District's residents need someone to represent them on the Board of Supervisors to start working on important issues such as budget and transportation as soon as possible. I do not want to cause any delay. I am humbled by and grateful for all the support that I have received from many supporters and more than 6,000 votes cast in the special election on Tuesday. I would like to congratulate Mr. John Cook for waging a strong campaign and wish him well on the Board. I look forward to working with him on education issues as a school board member. FAIRFAX, VA — Citing his excellent commitment as an elected member of the Fairfax County School Board, the Fairfax County Professional Fire Fighters & Paramedics has endorsed Ilryong Moon for Braddock District Supervisor on the Fairfax County Board of Supervisors. "Mr. Moon's proven leadership and understanding of the county budget will certainly assist other members on the Board of Supervisors with navigating through this economic crisis while minimizing budget cuts to public safety, the environment, transportation and public education," said John Niemiec, President of Fairfax County Professional Fire Fighters & Paramedics. "I am extremely grateful to have earned the support of the local IAFF," said Ilryong Moon. "The Fire Fighters are pillars of our community whose hard work and activism both keep us safe and improve our neighborhoods." Voting in the Braddock District of Fairfax County will take place on March 10, 2009. Fairfax County Professional Fire Fighters and Paramedics represents over 1,700 of the career fire fighters, paramedics, fire investigators, fire marshals, mechanics and communications professionals that protect the citizens and visitors of Fairfax County 24 hours a day, 7 days a week. Fairfax County Professional Fire Fighters & Paramedics is Local 2068 of the International Association of Fire Fighters and a member of the Virginia Professional Fire Fighters Association as well as the AFL-CIO. Read the full text of the media advisory. FAIRFAX, VA — Today, the Fairfax County Government Employees Union (FCGEU) and the Service Employees International Union (SEIU) announced their endorsement of Ilryong Moon for Braddock District Supervisor. "Mr. Moon's experience, service and his commitment to quality public services for Braddock residents have earned him our support," said Karen Conchar, President of FCGEU. "Fairfax faces major economic challenges, and county workers have the front-line knowledge and experience to deliver excellent services in this critical time. In Mr. Moon, we will have a partner in addressing the budget shortfall while ensuring quality public services for the community." FCGEU and SEIU have partnered locally to help give a voice to the Fairfax County workforce to ensure that taxpayers continue to receive quality public services during challenging economic times. With 2 million members, SEIU is the nation's largest and fastest-growing union. SEIU unites local and state government employees for a voice in providing quality public services. FCGEU's membership consists of County employees that wear all kinds of collars: blue, white, and sometimes none. FCGEU members provide the muscle, the brains, and the dedication for maintaining safe and caring communities. Both FCGEU and SEIU celebrate excellent public services, anticipate changing needs and, in partnership with the community, help shape the future. 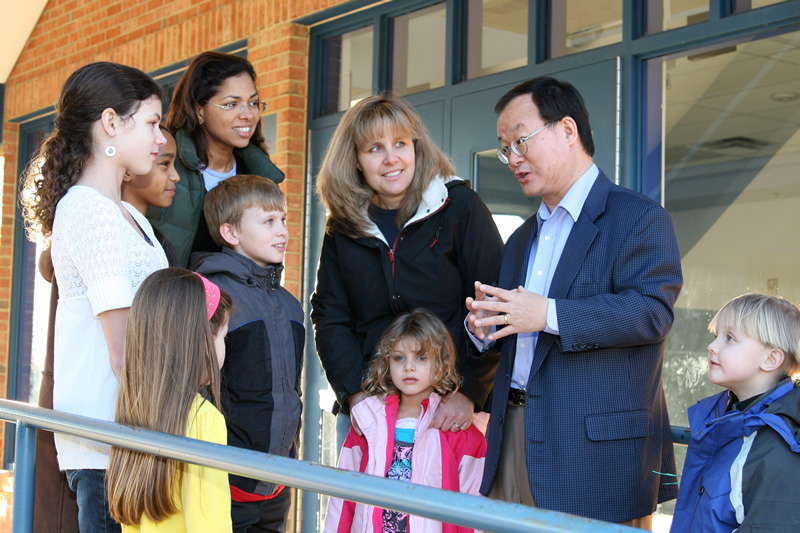 "I am honored to have the support of the hard-working men and women of the Fairfax County workforce," said Ilryong Moon. "Fairfax is known across the country for top-quality public services, and that would not be possible without the dedication and expertise of our county employees." Members of FCGEU and SEIU will be knocking on doors and making phone calls to help get out the vote for Mr. Moon. "Our membership knows how important it is to have a Supervisor who values the county workforce," said Conchar. "The county workers made the difference in the Chairman election, and they will have a major impact on this election as well," said Kyle Gott, campaign manager for Moon for Supervisor. "We are very pleased to have their support." ANNANDALE, VA — Ilryong Moon, candidate for Braddock District supervisor and current member of the Fairfax County School Board has picked up the support of the local International Association of Fire Fighters. After screening all the candidates, the Local 2068 Executive Board voted to endorse Ilryong Moon for the Braddock District supervisor on February 5th. "I am extremely grateful to have earned the support of the local IAFF," said Ilryong Moon. "The Fire Fighters are a pillar of our community whose hard work and activism both keep us safe and improve our neighborhoods." Local 2068 of the IAFF, a force in Fairfax County politics, has been instrumental in political campaigns for years. The fire fighters support their endorsed candidates with both volunteers and with paid materials such as signs, mailers and flyers. Most recently, Local 2068 was a driving force in the Sharon Bulova for Chairman race. "The fire fighters are an extremely important endorsement in our campaign, their hard work and support will be instrumental in Mr. Moon's election," said Kyle Gott, campaign manager for Moon for Supervisor. "The hard work and man hours they put into Sharon Bulova's race made a huge difference in her victory." To find a complete list of endorsement for the Moon campaign visit moon4supervisor.com/endorsements.php. ANNANDALE, VA — Following the election of Sharon Bulova to Chairman of the Fairfax Board of Supervisors, Ilryong Moon, a member at-large to the Fairfax County School Board, has gained an impressive number of endorsements from elected officials and party activists in his campaign to win the vacant Braddock district supervisor seat. The Moon campaign has the endorsement of a majority of Fairfax's delegation to Richmond, including Sens. Chap Pererson and Toddy Puller, Dels. Bob Hull, Vivian Watts, Dave Marsden, Mark Sickles, Kris Amundson, and Jim Scott. The campaign also has the endorsement of current Supervisors Cathy Hudgins, John Foust, Jeff McKay, Gerry Hyland, and School Board members Daniel Storck, Tina Hone, Kaye Kory, Phillip Niedzielski-Eichner, Kathy Smith, James Raney, Jane Strauss and Brad Center. Delegate Vivian Watts said, "I have known Ilryong Moon for many years and know his dedication to our community. The leadership he has shown on the Fairfax County School Board will serves us well." Ilryong Moon has also won the support of local activists in the Braddock District Democratic Committee. "Moon has represented us well on the Fairfax County School Board, and I know he will do a fantastic job as our next Braddock Supervisor," said Democratic Party activist Bruce Neilson. "He is someone we can depend on to work with Sharon Bulova on all the tough issues we face today." "It's extremely exciting to have the support of these fine public servants and party activists. When you have the support and advice of such a respected group of people including Delegates Dave Marsden and Vivian Watts, your campaign gains new energy," said Ilryong Moon. "Our campaign is starting with a tremendous wave of support from all over the district. These endorsements show the strength of our campaign and the confidence people have in Mr. Moon's ability to keep Fairfax County moving forward," said Kyle Gott, Campaign Manager for Ilryong Moon. 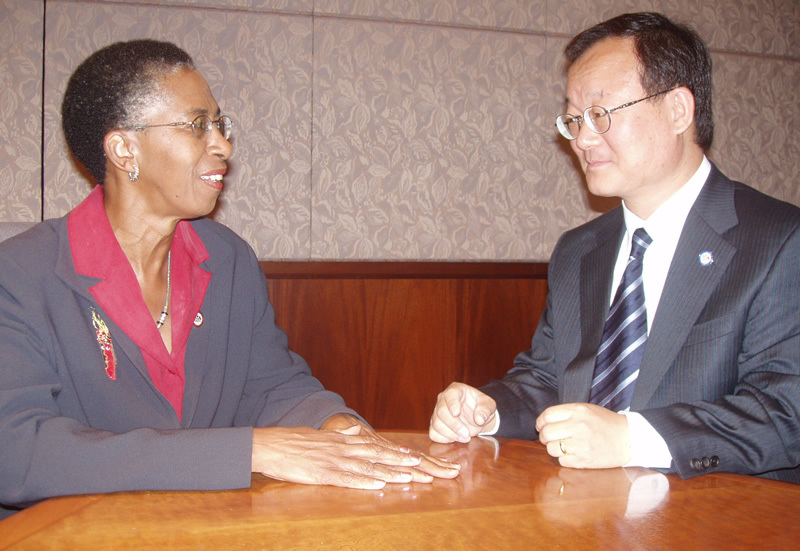 FAIRFAX COUNTY, VA — Ilryong Moon, School Board Member At-Large, seeks to succeed Sharon Bulova as the next Braddock District Supervisor. Moon has served on the Fairfax County School Board for 10 years, and has worked closely with Sharon to build the finest school system in America. Now that Sharon has been elected Chairman, he looks to build further upon their successes by filling her vacancy as Braddock District Supervisor. "I believe it is important to have someone who knows first-hand the education system and the school budget in our county," said Ilryong Moon. "Over half of the county's tax dollars are spent on education. My experience on the school board will be a great asset to the current Board of Supervisors." Moon looks forward to campaigning hard for the Democratic nomination which is less than a week away. The Democratic primary will be held on Monday, Feb. 9, from 6-9 p.m. and Tuesday, Feb. 10, from 3-9 p.m., with only one voting location at Braddock Hall at the Kings Park Library, 9002 Burke Lake Road (more voting details >). For more information please visit moon4supervisor.com or call the campaign office at (703) 746-8124.